This attractive full net yellow lahenga choli embellished with beautiful floral embroidery work in the skirt and blouse. 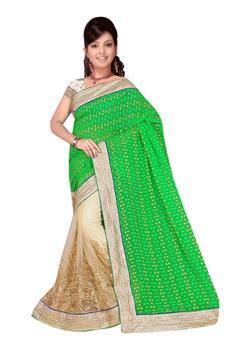 Also it is decorated with multi colour thread, resham work. 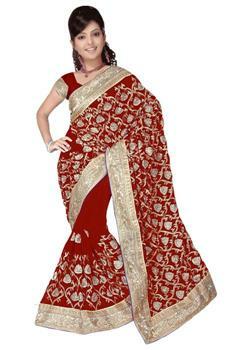 This lahenga is adorned with shiny beige plain border which makes it most elegant. 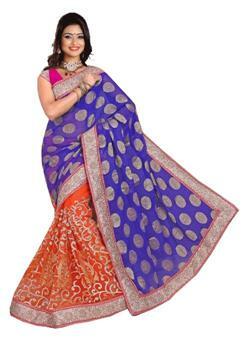 The beautiful contrast royal blue dupatta comes with it.